Ever bought a car? How did you decide what to buy? The money personality concept has not been around for all that long. However, what it looks at has been around since money first came into existence. Your money personality indicates what you are likely to look at, and how you are likely to come to a decision about financial decisions. It applies to both the significant and the trivial. To buying a house, buying a car, and buying an ice cream. It applies to saving, spending and investing. Today we look at the thinking behind a car purchase for the different animals. This car is good value, it is economical and it has a high safety rating. Dad had one of these cars for ages and he thinks it is a good buy. These cars hold great resale value. These cars must be good, so many people have them. We have worked hard, we have earned it. I have researched this range of vehicles thoroughly including a cost-service-performance analysis, and this is the pick. There is a limited number of these vehicles produced so I believe that will ramp up resale value, plus the tax advantages I can access, means I may be able to sell it at a profit or at least break even. I spoke with three mechanics and a rally car driver, and they all believe this is a car of high quality. I like this car, and I’m sure we can find a way to pay for it. This car is sharp – it looks good and I’ll look good in it. I’ll only take it if you throw in a GPS and 200 stacker CD player. It is about time we bought a new car, it’s been at least three years. This car represents who I am. Who made this car? I’m not buying it if it was made by child labour or in unreasonable working conditions. I don’t really care too much about cars, in fact, all the pollution it creates makes me feel uncomfortable about it. I think I’ll buy a pushbike instead. 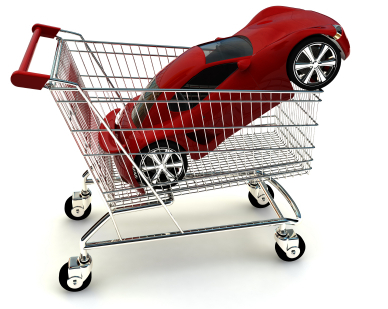 Most of us do have a preferred way of thinking and deciding when it comes to buying a car. Interestingly, the same goes for many of our other buying decisions. Understanding your decision making preferences, and gaining an understanding of others, is at the heart of Money Personality. P.S. As we approach the gift giving season, keep in mind the Money Personality preferences of those you are buying significant gifts for. The more they align to their preferences, the greater they will value and enjoy the gift.